DENVER — Catalinas are exclusive manufacturer’s coupons printed at the register at the end of the transaction. These savings are available for use at the drugstore & supermarkets that they are printed at. Offers vary & depend on you items you are buying or have bought in the past and shopping habits. In my experience, the catalinas I have received are higher in value than traditional paper coupons or digital offers in the store’s app. 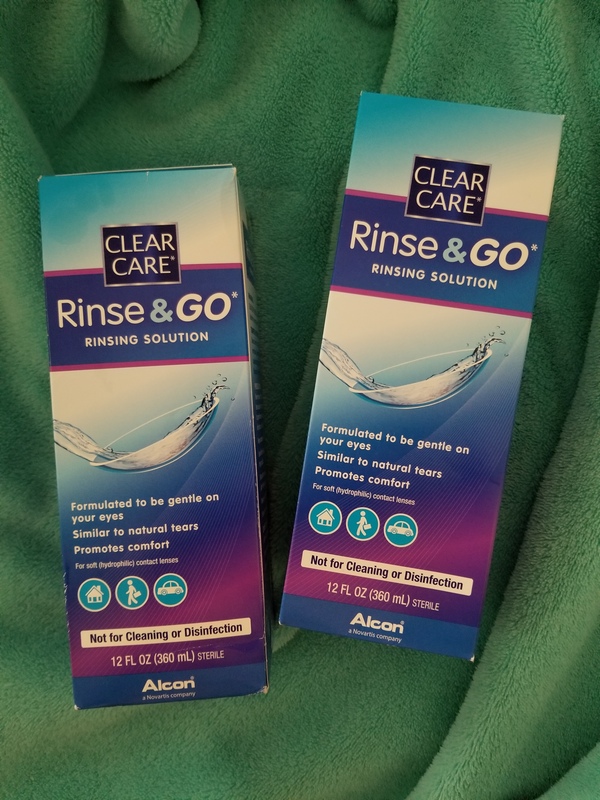 For weeks, I had two $3.50 catalinas for any Clear Care solution (a brand I have not used before) to be used at King Soopers. 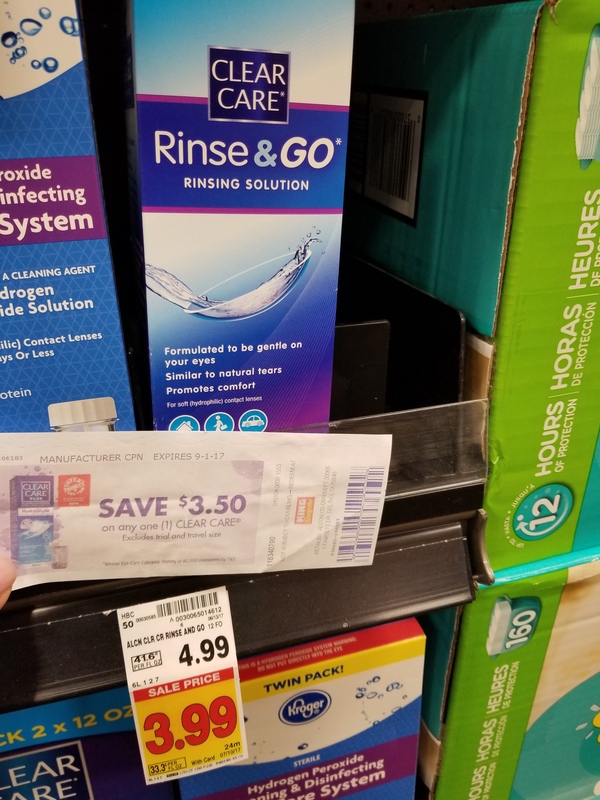 The Rinse & GO solution has a retail price of $4.99 & was on sale for $3.99, a 20% off savings when you used the store’s loyalty card. I combined the high value catalinas to buy two rinsing solutions. With a sale price of $3.99 & $3.50 off catalinas, I paid just 49 cents each for two 12 oz. full-sized containers (the product has a six month shelf life once opened). I paid 98 cents for a year supply of contact solution, a 91% savings off retail! Sale price + high value catalina = HUGE SAVINGS! Follow me @tiaterlaje on FB, IG & Snap for more money saving tips! Previous Post His&Hers body wash for 24 cents each! Next Post Ever spent less than $1 at Victoria’s Secret? I just did today!